This is one of the greatest times for silver investors. Each day our analysts are disecting the commodities market and discovering the best silver stocks for that time and relaying the information to you- our readers and fellow investors. Billionaire Eric Sprott zealously claims silver is the “investment of the decade” as investment interest for silver inches its way up to historic heights. Below, we have gone into more depth about the best silver stocks to invest in- but first we should tell you how and why we have chosen these stocks as well as why it's a perfect time to invest in silver. You probably already know that every commodity fortune ever made was created by an imbalance of supply and demand. Our analysts expect silver to have a 110% upside this year alone. The Silver Institute reports prices have soared this year due to investment and industrial demand, which will keep silver's price “strong”. The primary reason for this revolves around the simple fact that it is not easy to substitute any other metal in for practical, industrial uses requiring silver. Silver Wheaton is the largest precious metals streaming company in the world. Currently, the company has 7 projects in development along with 22 fully operational mines. Lately, silver is perfectly positioned to outperform gold. For investment purposes this means we're buying 53 times more silver than gold! The available silver for investment vs. gold for investment is a ratio of 7:1. But people are buying it 50:1. Hurry though, investors can't buy at this rate for long before something big happens. As demand grows and supplies dwindle, prices for natural resources balloon in value... but VERY rarely do commodities experience the supply/demand crisis that silver is currently facing. Pan American Silver is the second largest primary silver producer in the world. The company owns and operates eight silver mines and four development projects in Peru, Mexico, Bolivia, and Argentina. Pan American had a record year in 2015, producing 26.1 million ounces of silver, and 161,500 ounces of gold. In addition, PAAS started construction of the highly anticipated La Colorada expansion project, which will be complete in 2018 and will increase the mine’s silver production from today’s 5.0 million ounces to approximately 7.7 million ounces by 2018. Pan American's growth strategy is based on the continued increase of low cost silver production through the efficient operation and expansion of its existing mines, an aggressive exploration program, and the acquisition and development of new silver-rich deposits. Fresnillo plc is the third largest silver producer in the world and Mexico's second largest gold producer. The company operates four producing mines and one development project, all located in Mexico. In total, Fresnillo has mining concessions covering approximately 1.75 million hectares across the country. Currently standing as the world's largest primary silver producer, Fresnillo aims to “create maximum value for all stakeholders.” These companies are ideally set for the coming supply crisis within the silver sector. Great Panther is a growing primary silver producer with two operating mines in Mexico. The company steadily increased silver production from the mines from 600,000 ounces in 2006 to 1.2 million ounces last year. Great Panther is forecasting another 25% increase in production to 1.5 million ounces this year; they then expect silver production to continuing growing to 2.8 million ounces in 2010. 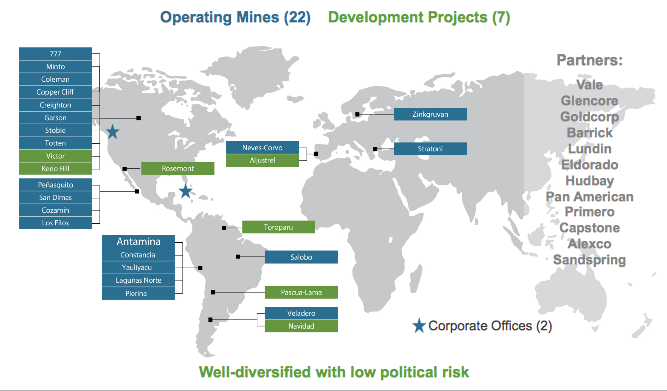 Silver Standard has 16 geopolitically-diverse projects that range from exploration to production. The company's first major mining operation and flagship Pirquitas mine recently began production. The mine is expected to produce three million ounces of silver in 2009 and to achieve full production of approximately 10 million ounces of silver in 2010. Endeavour Silver is a rapidly-growing production firm with two high-grade silver-gold mines in Mexico. The company has ramped up silver output seven-fold in its first four years of production to 2.3 million ounces in 2008. This year, Endeavour forecasts another 17% increase to 2.7 million ounces. The company hopes to reach production capacity of 4.5 million ounces in coming years. First Majestic is building a senior silver producing mining company with a focus on Mexico. The company currently owns three producing silver mines that yielded 3.7 million ounces in 2008. Although production won't be as high as the company expected earlier this year, First Majestic is still planning to increase production by 22% to 4.5 million ounces. For a more detailed look at why you should invest in silver instead of gold, check out our latest research report before silver disappears from the market completely amidst surging demand. Still Not Sold on Silver? We understand that while it is a very lucrative investment at certain times, silver is not for everyone. If you're still not a believer in silver as an investment but are interested in some other options, we recommend you take a look at some investment research we've recently made available to a particular group of readers. To learn more on how you can gain access to these reports and learn more about "Blue Gold", simply follow the link right here. Gold Stocks Soaring: Still Time to Buy? Gold stocks are soaring and investors are already raking in the profits. But is there still time to be a buyer or has the train left the station? Since 2008, about 7 million ounces of gold have been discovered in the White Gold District of the Yukon. But these discoveries are really just the tip of the iceberg. Canada's Yukon still holds a multi-billion dollar secret that has eluded geologists for more than a century. Wealth Daily editor Luke Burgess shows new precious metals investors the ropes when it comes to buying and owning.